Email marketing is in the top 3 choices of digital marketing channels for companies ( CLUTCH ). The three top choices are the best for telling your brand story, gaining awareness and increasing sales. 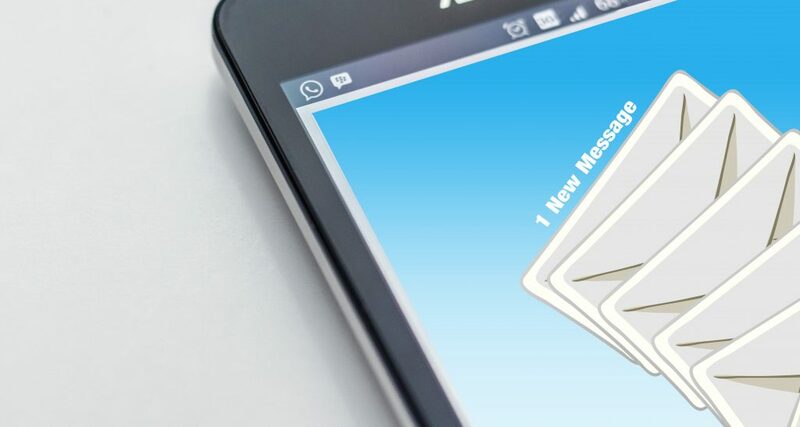 When done right, email marketing allows for precise targeting of specific audiences along with a bit of personalization. When you have someone signup to a list make sure to have a double opt-in system. This ensures that they truly are interested in your list and it was not just an accidental signup. Along with your double opt-in make sure to have a confirmation page for the signup. It is a great thing to have a large email list of your clients and other people interested in your brand. But it is much more powerful when segmented into smaller lists of interests. This allows for much more targeted campaigns that only appeal to those on the list. It is best to have each signup form on your website go to different emailing lists, like one fo your newsletter, one for the contact form, etc. When you send out newsletters that have links to click to different subjects, it is a great strategy, to have those links signup the customer to a new list that corresponds to that link. Whenever you gain new data about your customers, use it to help market to their interests and needs. This will help have a better conversion rate on your emails. Setting up drip campaigns helps automate your email marketing flow and makes it easy to start sending emails immodestly when someone signups for a list. You can have a drip campaign for when someone signs up for you newsletter merely thanking them for signing up and letting them know the frequency of the newsletters. It can be followed up with just general information about the site every few days for a week as an example. The possibilites are endless with your imagination and needs acting as a guide. This is possibly the most important piece to each individual email you create. Make sure that the subject creates interest and lets the reader know what to expect in the email. The subject also needs to be concise as must email accounts and mobile devices truncate subject headlines. The best length is somewhere between 30 and 50 characters including spaces. Making sure that the reader understands the main message of the email is important. Having a Call to Action that helps promote the message and final goal helps increase the conversion rate. It is good practice to have your call to action in several places and in several formats. With scrolling it is not necessary to put all the important content “above the fold” as scrolling is fairly easy. But getting to the point earlier is still considered good practice. Setting up a consistent schedule for when your emails go out is nice for setting up expectations for your customers. They will know when to expect new emails. It has been show that the best days to send out emails are Monday through Thursday mornings. Emails sent out at these times have much higher opening rates than others dates and times. It is always best to make it easy to opt-out of your email list when customers no longer wish to receive them. Otherwise you remails can become a nuisance and you my lose a customer all together. Need help taking your email marketing to the next level? I’m ready to help you so you can concentrate on running your business.